The New Year seems to be a time to reflect on what happened the last 365 days of our lives. What impacted you. What changes you encountered. The highs and lows. The things you didn’t plan to learn, but you did anyways. So here I am, trying to sum up some of the most impactful things I’ve learned these past 365 days, or 8,760 hours. God used our training in Houston, TX last March (in preparation for moving to Malawi), to radically open our eyes to the realities of so many children (and adults). Experiencing loss, abuse, neglect, etc literally changes the ways bodies function, how brains are wired, and how belief systems are built. By outpouring this knowledge on us and having conversations about what children go through in these types of circumstances, allowed (and continues to allow) Tyler and I to have a greater understanding of those we serve in Malawi. I probably need to devote an entire blog post just for this topic. There is so much to say, and it has taught me how to better love people in hard places. You may have read, or at least heard of a book called “when helping hurts.” Tyler and I read it together early last year, and we’ve seen it first hand living in a country of extreme poverty. Poverty isn’t an easy thing to talk about, to see, or to fix. It’s complex, and it’s hard. And what I have learned is that if I’m not extremely intentional with how I give and assist others, I can actually be doing more long-term harm than good in the community I’m trying to help. Some of you may already know this, but I started seeing a counselor when I was in 4th grade – due to having high levels of anxiety. So it’s always been a normal thing for me, and now that I'm older, I guess I’m thankful for that. From what I’ve gathered, society as a whole may think you only go to a counselor when something is horribly wrong (or wrong with you). But that’s not the case at all. Since serving with Pure Mission, Tyler and I talk monthly with a counselor (who is the best!!). I’ve learned we will always be in a position to grow and heal. That’s God’s design for us. In the past, I’ve maybe read an average 2-4 books a year. This past year alone, I can count roughly 20 (which I know, may be nothing to you). But that’s a huge improvement for me! And I actually enjoyed it. I’ve learned that I love to learn. Side note: still can’t get myself to read fiction. Sorry. And I probably never will. 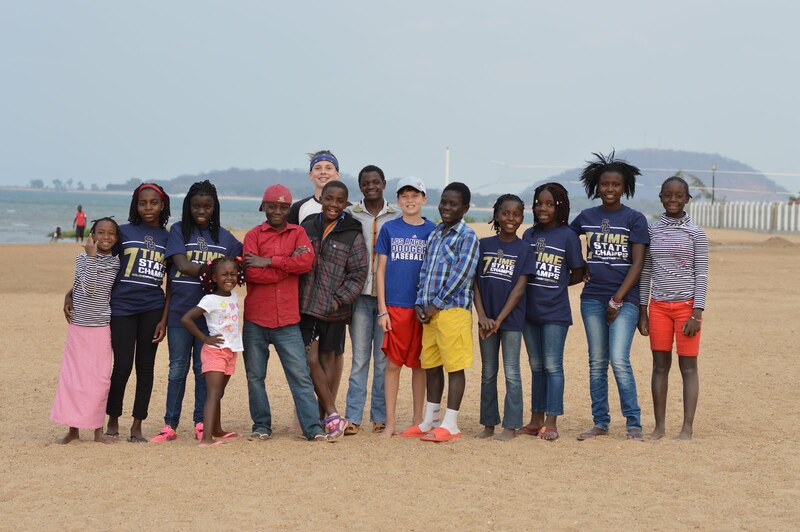 One of our good friends and mentors in Malawi said something last summer that really changed the way I think. Whenever I walk in the village, both kids and adults call me “mzungu.” Which means white person. I could probably live here for 20+ years and would still be called that on a daily basis in the village. In a way it points out the difficulty to fully belong in Malawi without standing out, being different, or being seen as someone who is privileged. Now, back to my friend. One day, our friend was out in the village (for whatever reason). A Malawian adult called him “mzungu.” Our friend took out his iphone (the iphone was white, and his case was black). He showed the white part of his phone and asked the Malawian what color it was. 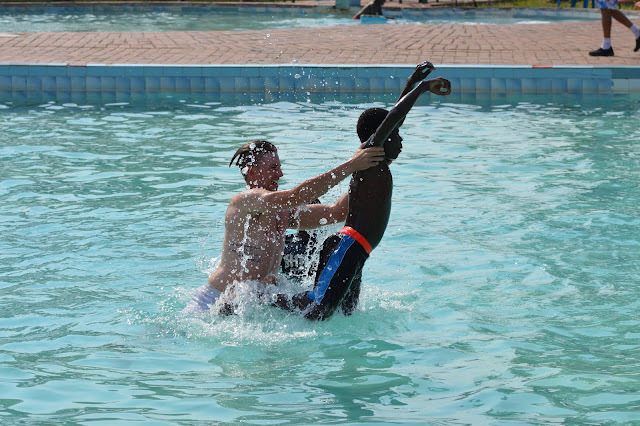 The Malawian said white. Our friend then held the phone to his skin and asked if his skin was white. The Malawian said no, it is light brown (aka tan). Our friend then showed the black side of the phone case and asked the Malawian what color that was. The Malawian said black. Our friend then held that side of the phone to the Malawians skin and asked if his skin was the same. The Malawian said no, it is brown. Our friend then explained to him that both their skins were brown. Not white and black. This may not seem as profound to you as was is to me, but it really made me think. Instead of having this “black and white” and “us and them” mindset, this concept unifies us instead. Yes, I may be much lighter brown than everyone else here in the village, but realistically we are all just different shades of brown. 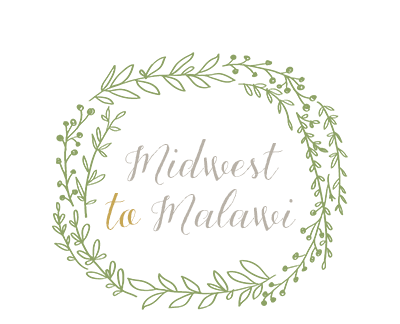 Before moving to Malawi, I thought leaving family, raising support and moving overseas would be one of the greatest mountains to climb in my life. 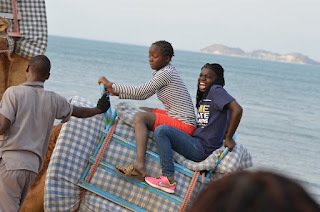 I was extremely excited to follow where He was leading us, but I naively thought that once we arrived in Malawi, there would be a lot of smooth sailing and not a lot of change (feel free to laugh if you must). And I know I’ve read this so many times in books and from sermons, that: God is always looking for ways to help me grow. There will never be an end to learning, trusting, growing, getting pushed down and getting back up. Our faith will continue to be tested. And God usually does this by putting us in impossible situations. 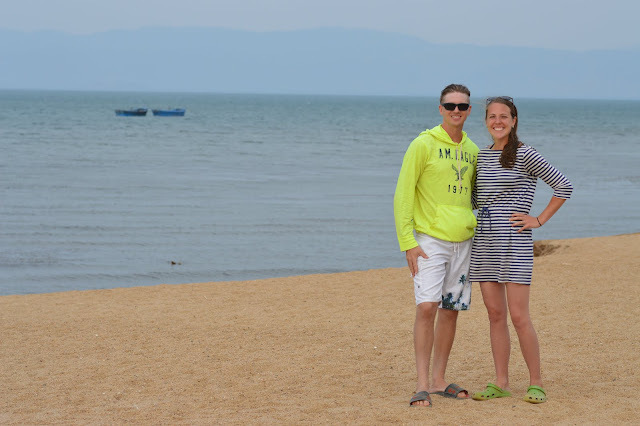 Since moving to Malawi, He has tested my: fears, motives, comfort, security, friendships, leadership, health, and doubts. And I know there is still much ahead. 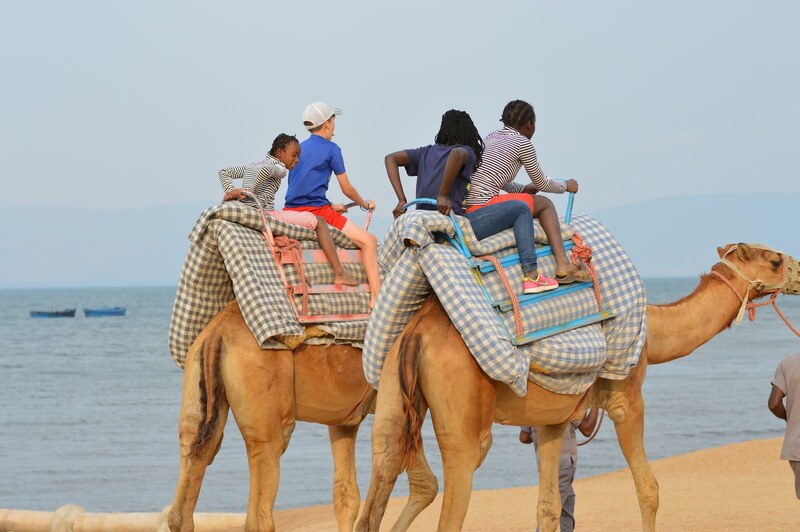 The trip to Lake Malawi with the kids was a success! Loved spending quality time with everyone and trying fun new things. 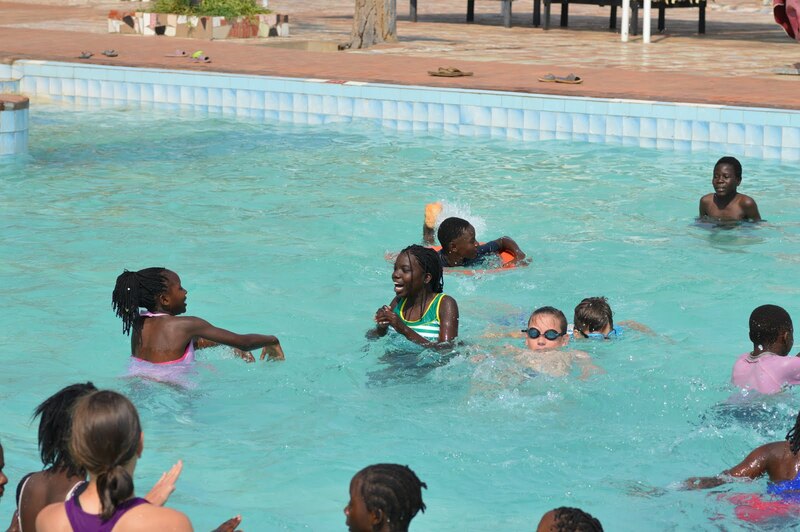 This was the second time the Esther's House kids have ever tried swimming, and they enjoyed every minute of it! Unlike in the States, swimming activities (if any) are at least a 2 hour drive, so trips are not very common. Hence the excitement when we went! The 9 residential Esther's House kids went with, the Wilson fam, and so did our house moms! Hours were spent splashing in the water, going down the slide, jumping off the diving board, learning how to swim, and getting "close" to the deep end. The only break was for lunch, which was soon followed by getting back in the water. As you can see, we swam at the resorts' swimming pool instead of the actual lake (which was in seeing distance). 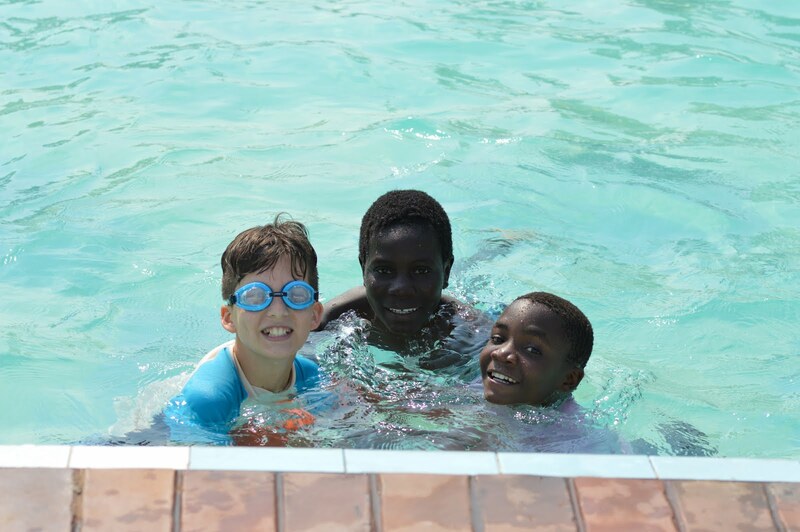 The water is clearer in the pool, 100% guarantee crocodile free, and no chance of getting a parasitic disease called bilharzia. Very kid friendly! 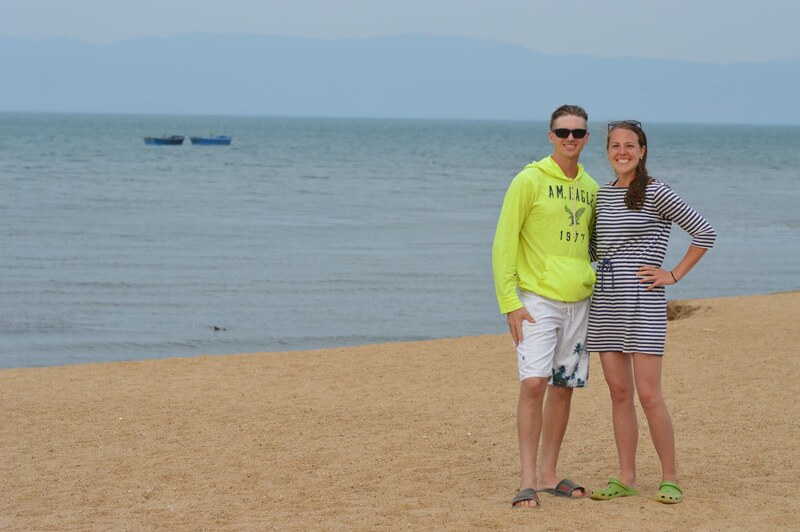 After swimming and eating, we walked to to the sandy shores of the lake. 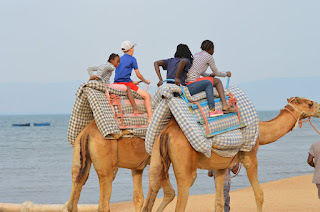 Group pictures were taken, and then saw.....camels! 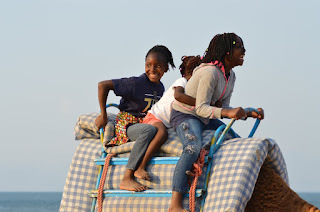 So, all the kids got a ride. I thought about taking a turn myself, but had enough excitement already watching the kids do it! It was a priceless moment. So many laughs, and a few scared expressions. 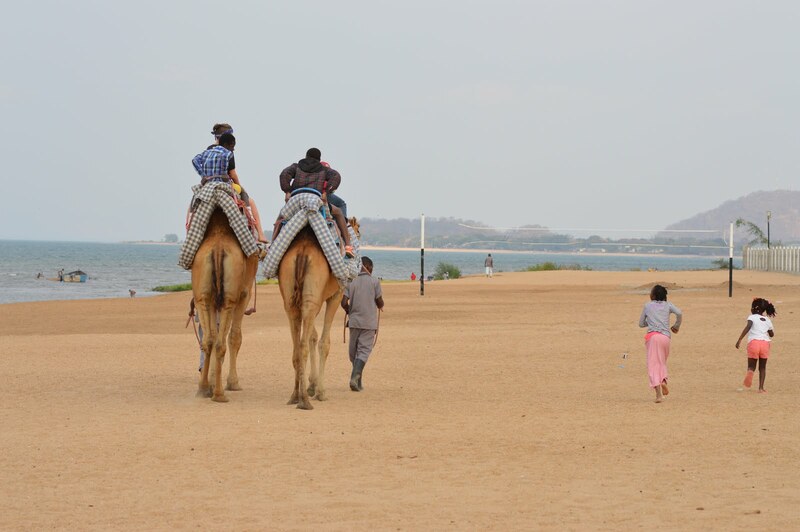 The camels were well trained, the only "scary" part was when they would need to stand up once the kids got on, and then sit back down after they finished their walk along the lake shore. Thankful for this "family" The Lord has blessed us with. Whew... today we spent hours in the local market getting monthly supplies for Esther's House. Usually once in town, we try and get every possible thing we need so we don't have to make multiple trips back. The drive is about 20 minutes, which honestly doesn't sound too bad, but once you add in our bumpy dirt road, it gets real. My favorite thing about the market? FRESH PRODUCE. It's everywhere. And it's a better value than even your local Walmart. I am uploading some photos I took today while out and about. Don't mind the quality, just snapped some with my handy dandy phone. 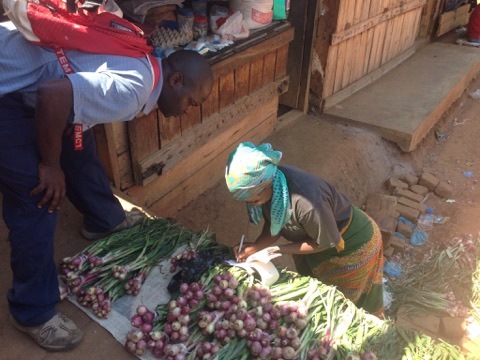 The farmers who sell produce just lay their food on a tarp or mat. When I buy vegetables (carrots, onion, green pepper, cucumber, tomato, potato, etc) they are laid out in stacks/bunches and are at a fixed price. I'm so glad Malawians don't typically do the barter thing. The price usually is what it is, and I don't have to work it down. There are other things besides food to buy, as you can see in the below picture. 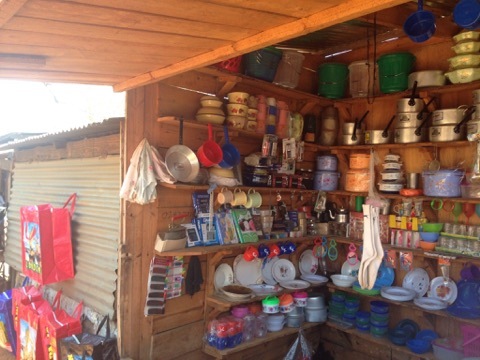 These "shop owners" have wooden stands and shelves. You can buy anything from socks, cups, bowls, brooms, mops, to cell phones. 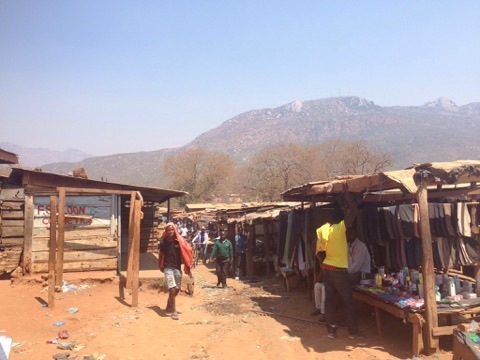 Luckily Tyler and I's Chichewa is improving, so it's easy for us to greet the sellers (hi, how are you? I'm good, thank you) and ask how much each thing is (we pay everything in Kwatcha). Sometimes they start talking more in Chichewa and I have to let them know I'm not fluent. Some do know english, which is helpful. 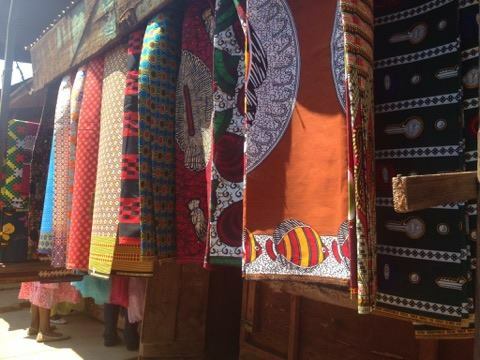 In the village, almost all Malawian women wear chintinjes (shown above). Since chintinjes are so popular, a lot are on display at the markets. You can wear them as skirt wraps, dress wraps, head wraps, or as a baby carrier on your back. They get so creative, and so are the patterns! So far I have 2 patterns, and Tyler is thinking about picking out a design and getting pants made out of them. Trust me, if this happens, you will all see a picture of it. Now you know where we do our personal shopping, and shopping for Esther's House. It's no Aldi or Walmart, but it's always an adventure. Plus, we always get to follow what Michael Pollan suggests "Shake the hand that feeds you." What an exciting, crazy, eye-opening 10 days with the JBU medical team. 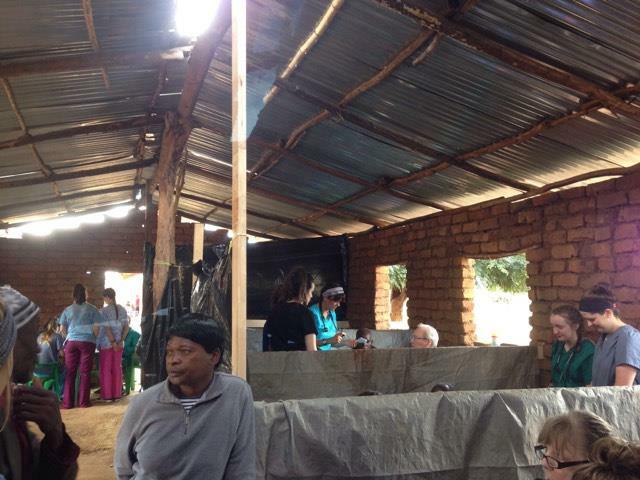 The JBU team consisted of: 19 nursing students, 3 non-nursing students, 3 nurses, and 2 doctors. 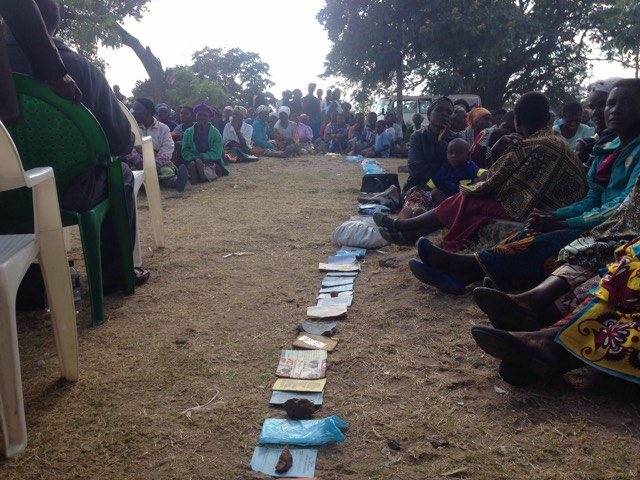 We had 3 clinic days, 1 at Esther's House and 2 in surrounding villages. We transformed a church and a government building into a useable space to treat patients. When resources are limited, creativity is key. As long as we had room, health providers and medicine, we were doing well. The day before our clinics, we passed out medical cards. Each card was a ticket that could be used to be seen the following day. We would be limited on the amount of people we could see. While passing out cards, we split into teams to talk about Jesus and pray for any needs they had. The morning of the clinics, we created rooms made of boards and tarps, set up plastic chairs and tables, and rolled out caution tape to ensure kids wouldn’t huddle all around the buildings (I later found out how essential this really was). Lines and crowds gathered outside our doors, but we only had limited amount of time. We saw everyone who had a ticket, and tried to squeeze in the rest. Instead of lining up all day, they set their health passports in a line as a way to know who would go next (genius). Side note: a Malawian health passport is essentially a medical record. Each time they go to a hospital or clinic, the doctors write in it and use it as a frame of reference to know medical history. We saw over 70 patients each day. Different health needs entered our doors. 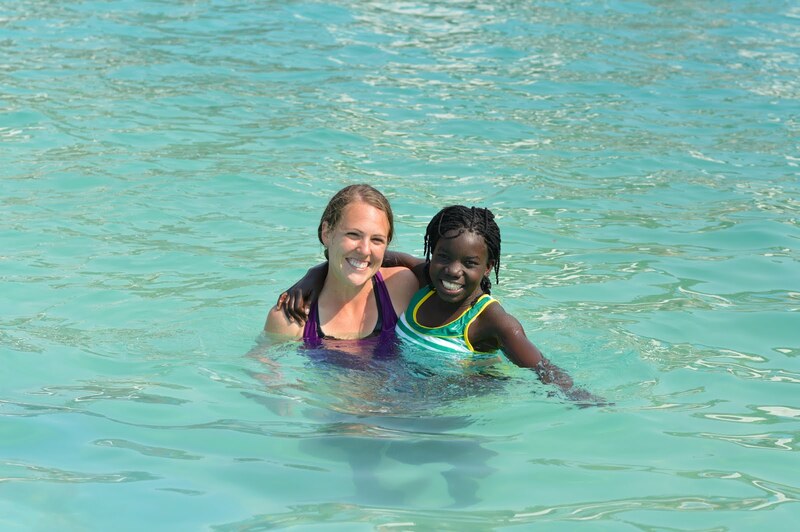 Adults, kids, chronic diseases, allergies, arthritis, malaria, and more. Translators were there to break the language barriers and 3 of them were pastors. We had a prayer room (in our fancy tarp divided building) to encourage those who were needing hope and to ask for healing. At the end of our day, we packed up everything we previously set up. Tarps down, chairs stacked, boards unscrewed, car packed. And just like that, the buildings were back to how they were before. I was able to learn a lot from the doctors and nurses who came to serve. I am definitely not a nurse, and never plan to be one (needles- no thank you!). But their knowledge + extra medicine left behind will be useful for our kids at Esther’s House. 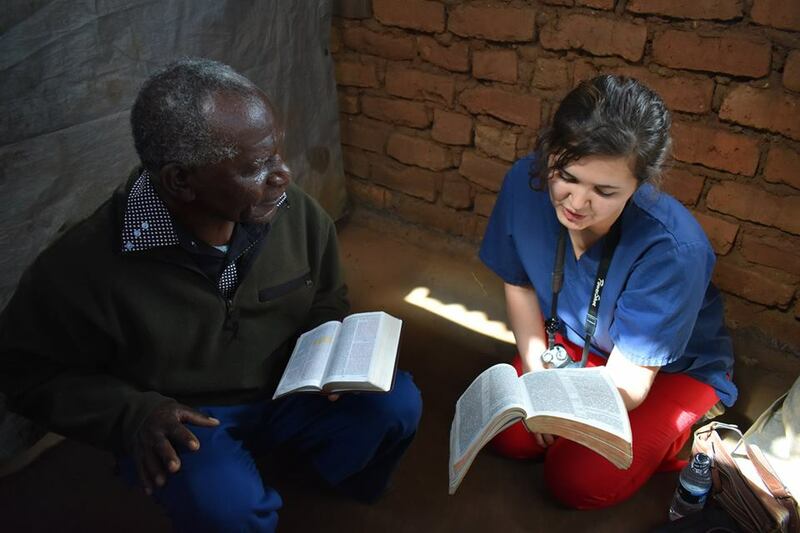 Thankful for those willing to come to serve and use their skills to reach the needs of others here in Malawi! I would have pages upon pages. 5 years ago I was a frazzled, homesick freshman at Winona State. Yet that is the year I first felt called to serve in Africa. 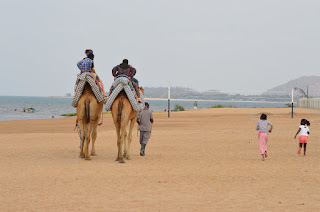 I didn’t feel capable to live 2.5 hours away from home, yet God was stirring a desire to move overseas, and allowed me to leave my fears behind. Now, I am caring for orphans and widows in the poorest country in the world. In a village in the middle of nowhere. There were definitely hills, valleys & multiple seasons that got us to where we are now. I wouldn’t trade them for anything, yet I won’t be raising my hand to re-live them anytime soon (I can just see Tyler nodding in agreement). Truth is, leaving everything behind is hard. He who calls is faithful. And He will continue to be faithful as we live life halfway around the world. Our city may change to a village, our "home" church may look different, even our hygiene may (will) change. But He doesn’t. I am sitting on the edge of my chair, waiting for what He has in store for us here. Knowing when days get tough, missing family gets real, and when craving Culvers custard becomes to hard to handle, I can remember we are here for a purpose. And no matter what, He won’t leave our side. There is a song I’ve played about a zillion times since boarding our first plane. You’ve probably heard it before. It’s called “Faithful Til The End” by Bethel. This song encompasses why fear hasn’t ruled my thoughts when transitioning to another culture and country. I’ve noticed that fear tends to leave when focusing on the faithfulness of our Father. And when I remember His faithfulness in the things behind me, I can trust Him for the same in the future. Even when our income soley depends on others? Even in a country where healthcare is lacking? Even in a place where witchcraft is more prevalent? Follower of Jesus, wife, and a Minnesota native. 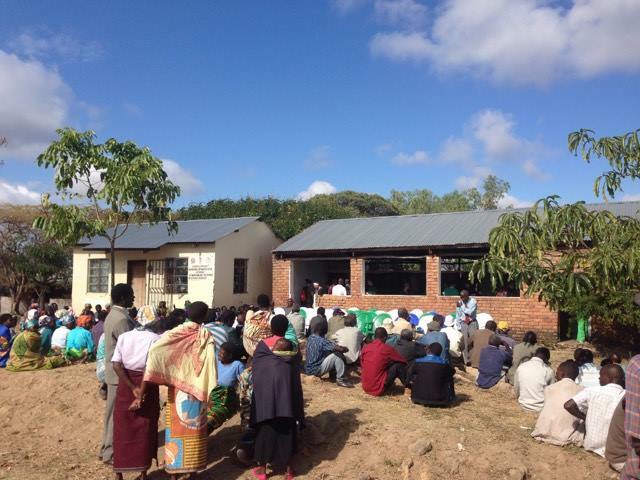 We are passionate about serving orphans & widows in Malawi, Africa. Learning daily how He is able to do immeasurably more than all we ask or imagine.